Forget about stress and everyday worries! Take a deep breath, inhale the sea air full of salty negative ions and enjoy the views of our relaxing coastal landscape. The coastal area, encompassing the Sečovlje Salt Pans, Portorož and Strunjan, is known for its therapeutic factors: salt pan mud, brine from the Sečovlje Salt Pans, a pleasant Mediterranean climate, and the sea water. Submerge yourself in a pool of brine just like the Benedictine monks used to do in the 13th century. This concentrated sea water is rich in minerals, bromine, iodine and magnesium, which encourages and strengthens the body's defence mechanism and makes you look younger as it improves blood circulation and purifies your body. The well-known sea pan mud, with its health benefits, is created by the crystallisation of salt. Mud packs relieve muscle and joint pain and are also used for beauty and cosmetic purposes. The mud accelerates the body purification process, assists in reducing cellulite, transforms the body and visibly cleans the skin. It is time for a retreat by the sea. 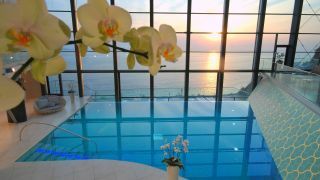 Come and visit one of our natural spas or wellness centres very close to the sea and let the experts find a tailor-made treatment just for you. Come and visit any time of the year and experience a relaxing swim in heated sea water originating from one of the most therapeutic seas in the world. If you choose to, you can warm yourself in a pool filled with thermos-mineral water or relax in a sauna. Should you have any health concerns, you can also visit one of the medical and physiotherapy centres nearby. Swim in the relaxing and healing sea water any time of the year! 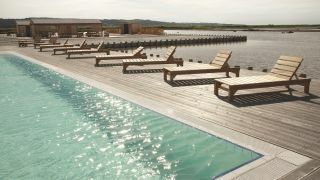 Strengthen your mind and body in the unique natural surroundings of salt harvesting fields. Treat yourself to a body detox in the comfort of a chosen sauna park. Let the experienced hands of our professionals take care of you. Shaping, rejuvenating, caring and relaxing – your body is a temple which requires a lot of your attention. Start enjoying life! The pleasant Mediterranean climate will fill you with vitality and chase those bad moods away. Up for a bubble-me coloured bath or an Ayurvedic massage for kids? We have chosen the best wellness experiences you mustn't miss out on. Relax yourself in a unique and complete comfort. Saltpan mud and salt brine - mother water, salt and seawater are the most important products of Thalasso therapy in the saltpans. In LifeClass Portorož we help you live better and longer. Why have to choose between the sea and the spa when you can have both? Feel the power of sea water and its natural products.